The Producers - the trees, shrubs, bromeliads and other plants. 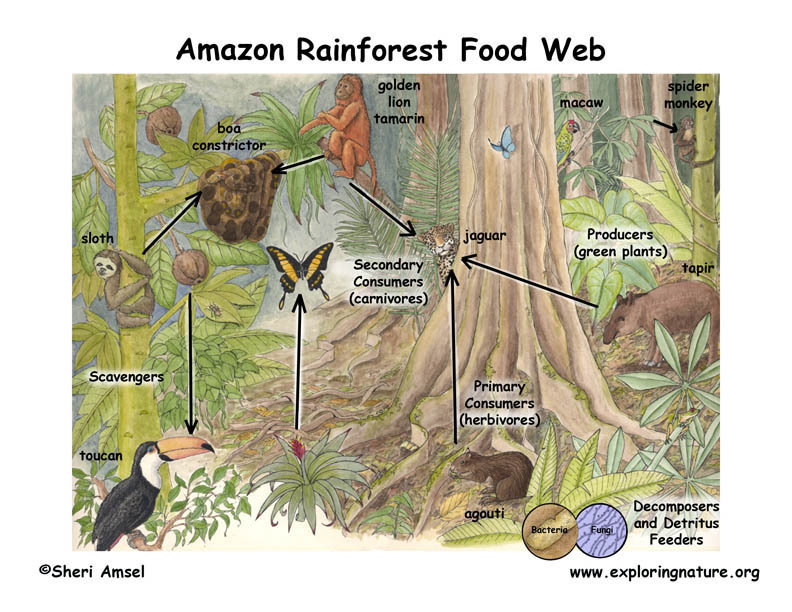 The Primary Consumers – the macaws, monkeys, agouti, tapir, butterflies, sloths, toucans. The Secondary Consumers – the jaguar and boa constrictor. The Scavengers – the butterflies and other insects. 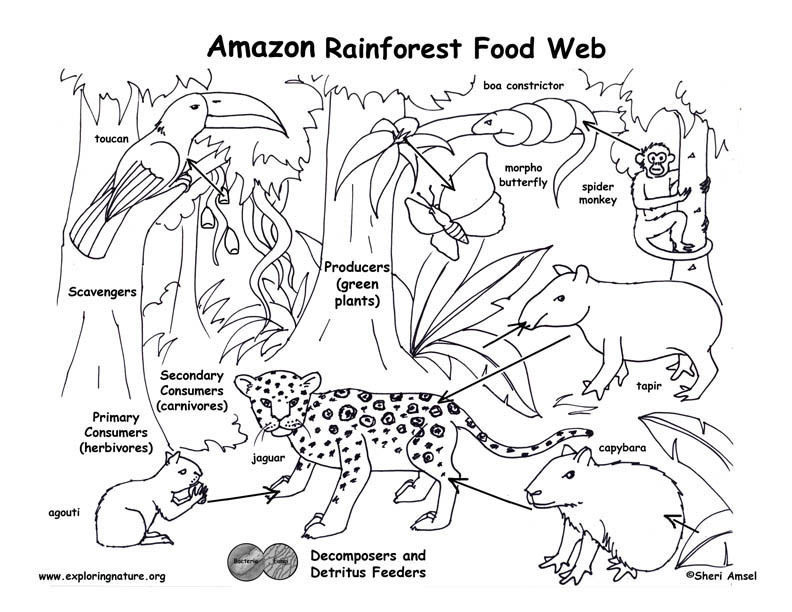 * Try the Amazon Rainforest Food Web Activity.